The child development corner project, which was initiated last year, is almost complete. The corner is now a bright spot in our community center, Ma o Shishu Shiksha Kendra, with yellow colored walls, shelves filled with toys and books, and comfortable foam mats for the children to explore and play. Display boards have been put up to exhibit children’s artwork and important child development messages. Once the curriculum has been finalized for child development sessions—due to be completed this month—child development sessions within the child health community meetings will be initiated. In the meantime, during community meetings (which take place almost every afternoon) the space is being used for play by children whose mothers are attending the meetings. 1.) 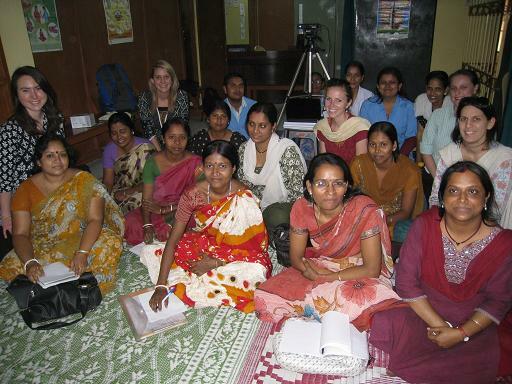 To provide a foundation on child development for Calcutta Kids’ health workers who will be working with mothers and children during the child development sessions. The health workers will use the lessons to teach mothers how to stimulate their children through play. 2.) To solidify curriculum development for the child development sessions to be started in April. This will ensure that the messages and counseling given to Calcutta Kids’ beneficiaries are standardized and evidence-based. Jane Thompson, a child development and education specialist, and Director of Next Step Early Intervention, conducted the two-day training, “Helping Children Grow” for our health workers. The training started with an overview of ‘secure and nurturing attachment’, and the importance of the emotional bond between the child and the mother (or primary caregiver) which is critical for a child’s growth and development. She also spoke about ‘active learning’, a process by which children develop and learn through interaction with their environment. She emphasized that the most optimum form of multi-sensory learning is achieved through play, which is the major goal of the Calcutta Kids’ child development corner project. The rest of the training workshop was divided into age groups: 0-3 months, 3-6 months, 6-9 months, 9-12 months, 12-18 months, 18-24 months, 24-30 months, and 30-36 months. For each age range, Jane discussed key milestones in different areas of development including: cognitive, communicative, social/emotional, adaptive, and physical. She demonstrated activities that could be done during each age range, using materials that she had brought, along with materials that we had procured for the child development corner. A summary of the training and key topics can be viewed on the workshop presentation here. In September, Calcutta Kids organized an immunization training program, which served as a refresher training for some of our team and a new experience for others. The training was carried out by a colleague in the government sector, Dr. Swagata Mukherjee, the Assistant Medical Officer for the Howrah Municipal Corporation (HMC). Despite his busy schedule, he volunteered his services to Calcutta Kids during his personal time. During the training, participants learned about vaccine-preventable diseases and related vaccines, the proper vaccination schedule, and how to technically administer each type of vaccine. 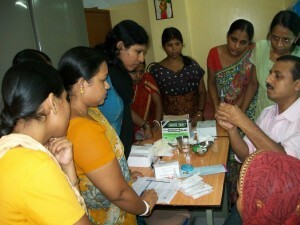 The training comprised of two days of observation at the Municipal Health Center during immunization camps, and three days of theory, observation, and practice in the Calcutta Kids clinic. 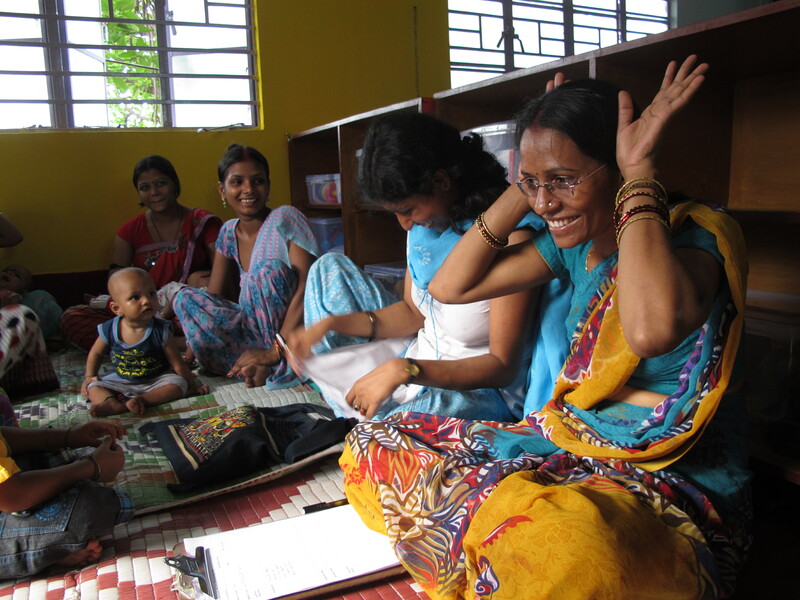 The training is one of many steps in the process towards implementing a community-based health care model at Calcutta Kids. 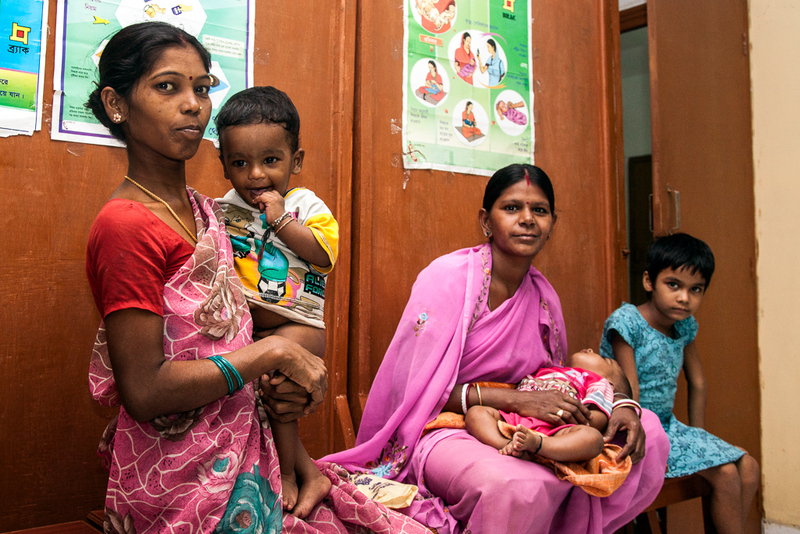 Until recently, our curative health, nutrition care, and immunization components have been held in our health center, Swastha Kendra, situated outside of Fakir Bagan. 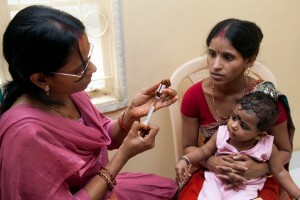 During immunizations, vaccines were primarily administered by our nurse under the supervision of our doctor. But this month we are merging the health center into our community center Ma o Shishu Shiksha Kendra, so immunizations are also transitioning to the new space in the heart of Fakir Bagan. This is part of our effort to bring cost-effective healthcare solutions closer to the community. The immunization camp will now be carried out in the community by the area in charges (senior community health workers) and the health assistant-counselors who are now qualified in immunizations as a result of the excellent training they received in September. Where we once relied on one person to conduct immunizations every week (with the doctor as a back-up), we now have four trained staff members who are proficient in administering immunizations. This will help ensure that immunizations are even more accessible for the families in Fakir Bagan, and provides Calcutta Kids the capacity to extend our immunization program to neighboring areas, thereby targeting more children in need of immunization. Immunization in India must be sustained, not only to prevent VPDs, but also to reduce the incidence of measles and tetanus, and eradicate poliomyelitis. India, known as one of the greatest challenges for the global polio eradication campaign, has now been polio free for 18 months. (3) The last reported polio case was in Shahapur village in Howrah district, the same district where Calcutta Kids operates. Sustained immunization and coverage will ensure that polio does not make a comeback to this country.